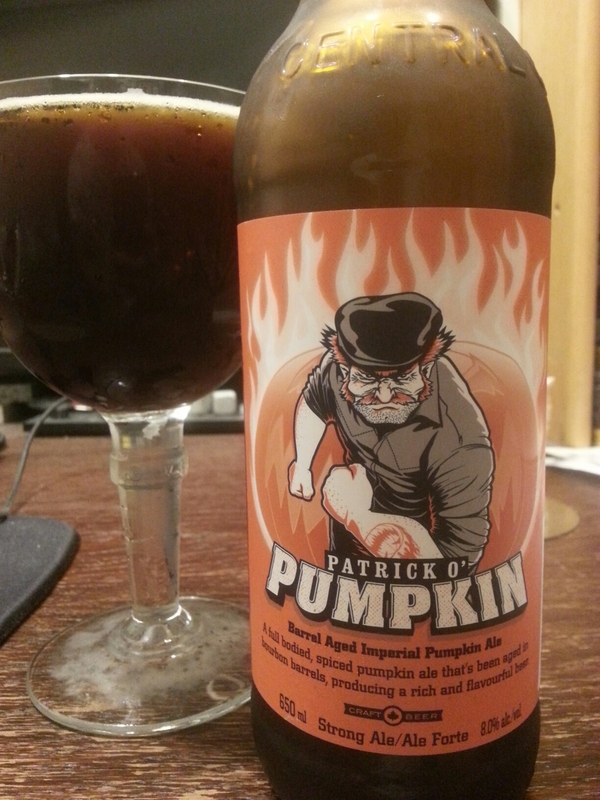 Patrick o’Pumpkin Barrel aged Imperial Pumpkin Ale – Central City Brewing (Surrey, BC, Canada) | Justintoxicated. Ingredients: water, munich malt, pale malt, specialty malts, german magnum hops, yeast, pumpkin & spices, barrel aged. Visual: Pours dark cola brown without much head, ringed retention, scatted steady streams throughout. Finish: soft bitter mostly pumpkin malty sweet finish. Summary: Certainly better than their canned Red Racer Pumpkin and bottled Spiced Pumpkin, this one is rather drinkable with a nice stealth ABV. Not a whole lot of spice but plenty of bourbon.